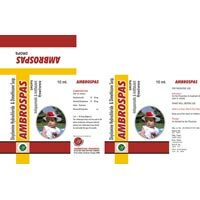 We are considered as noted Manufacturer and Supplier of Antispasmodic Drugs in Srinagar (Jammu & Kashmir). 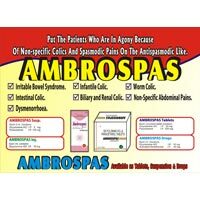 We offer an extensive array of Antispasmodic Drugs that comprises of Ambrospas Drops, Ambrospas Suspension and Ambrospas Tablets. We make sure that Antispasmodic Drugs are safe and effective, and thus we formulate these under controlled conditions.